As you all know I’ve been working on my second and third novels for a while now. Mostly the second one which has been taking longer than I had anticipated. At first I wondered why this was so? I was much more experienced since my first go-round with completing a book. I’ve learned a lot of the pitfalls and mistakes that can be made by now. So I should be able to crank this puppy out in no time right? WRONG! Now before I proceed, remember I’m only speaking for myself and what I’m experiencing in this process. I’m still very much on the learning curve and I would love to hear some of your experiences down in the comments section below. You may very well wind up giving insight to other issues I haven’t thought about yet, which could be very helpful. Anyway, as I said before the process is taking longer than I’d hoped. I originally figured I’d be laying down the plot for book four by now, while having book three 2/3’s of the way done. So what’s been happening? Why am I working so slowly? I think it’s several things. 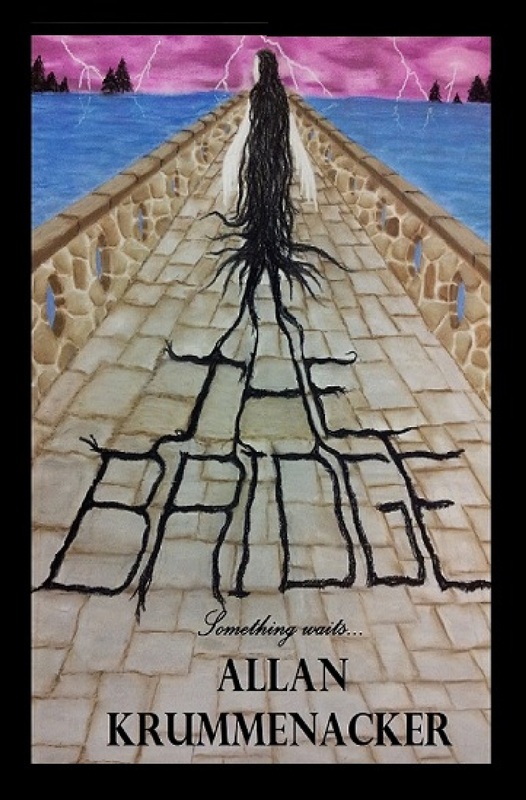 First, folks who’ve read “The Bridge” really loved it even with the imperfect editing job I’d done on my own since I couldn’t afford a professional editor. Yet the readers were willing to overlook any issues on that front because they were swept up on the story. Plus they fell in love with the characters and how they interacted (especially with Alex and Veronica). So, there are high expectations for “The Ship”. However, I’ve shifted the focus to the second lead couple Julie and Cassandra, and relegated Alex and Veronica to a few brief chapters in the new book. But what happens to them is still connected to the new story and has major implications for book #3. So with the shift in attention to Julie and Cassie I’m dealing with a whole new situation. They have a much different relationship and chemistry. Alex and Veronica already had long term relationship when we met them. But Cassie and Julie are just beginning a romantic relationship. For those of you who are unfamiliar with their story, Julie and Cassie are lesbians. So right there the dynamics of their interactions are going to be a bit different, and not just because they are both women. I’m approaching their situation like I would any two people who have just become a couple, but I’m also keeping in mind the added pressure and worries of being gay. They know there will be those who disapprove of their being together, including some members of their own families. And I’m trying to make their developing relationship both tender and realistic, rather than a male fantasy where they are just eager to jump into bed with each other. I want to the audience to see them as real people, not just stereotypes or caricatures. But I also have to keep the reader engaged by getting them to care about these two young ladies. So I have to juggle events and scenes in such a way to keep the audience laughing, intrigued and rooting for them while slowly building threat of the approaching danger and mystery that Julie and Cassie are about to become enmeshed in. Now another issue is the pacing of the story. People loved how I did it in the first book. It wasn’t too fast, nor too slow. And I kept breaking off scenes in such a way as to make the reader eager to turn the page so they could start on the next chapter. Not as easy as it sounds, at least for me. But I believe I’m succeeding in keeping this up with the new book. Another problem is too many details or unnecessary scenes. This is something I encountered with the first book. But in that case I didn’t realize how much of a problem it was until after I finished the first draft and then re-read everything. This time I keep catching the problem as I’m still working on the first draft, which means I go back edit and rewrite as I’m going along. Or, I’ll find a scene I wrote earlier works better in a section I’m currently working on, so I have to pull it out and move it. Then I have to go back to where I had it and fix any issues the change made to that area. Plus there are other issues as well, which I may cover in another entry. But this gives you a good insight to what’s going on for me as the author. Again I’d love to hear from some of you about what you’ve encountered with your writing. I am using a ‘mental’ outline in my head. I tried writing one out but kept changing it over and over as I went along that it looked more like a bad set of directions that could get the most experienced cartographer to throw up his/her hands in surrender. Everyone has their own style. Plus, my characters have a tendency to change the plan as I go along by coming up with alternative ideas that were better than the ones I’d had in mind. So again I’m making progress, just a bit slower than I’d planned. How is/was the writing process for you on your 2nd, 3rd or even 7th book? I’m sure both me and the other readers would love to hear about it. Please tell us about your experiences in the comments below. Thanks to tuning in and I’m looking forward to hearing what you all have to say. Take care and thanks for reading. 1-Leave a review if they could. 2-Spread the word about the book and the links for it throughout your networks after you’ve read it. Any thoughts on this folks?